Our convenient, in-house decoration solutions simplify your decoration process from virtual requests to swatch samples and everything in between, freeing you to focus on your job. You benefit from quick production lead-times and industry leading pricing. We control the process from digitization to delivery. One point of contact, one invoice, one shipment. We made easy, easier. 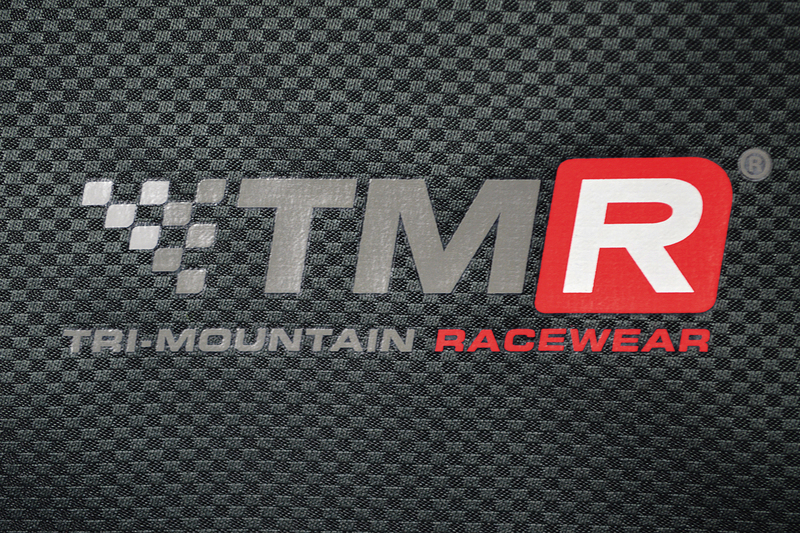 We first launched our Worry-Free Embroidery® Service in 2008. 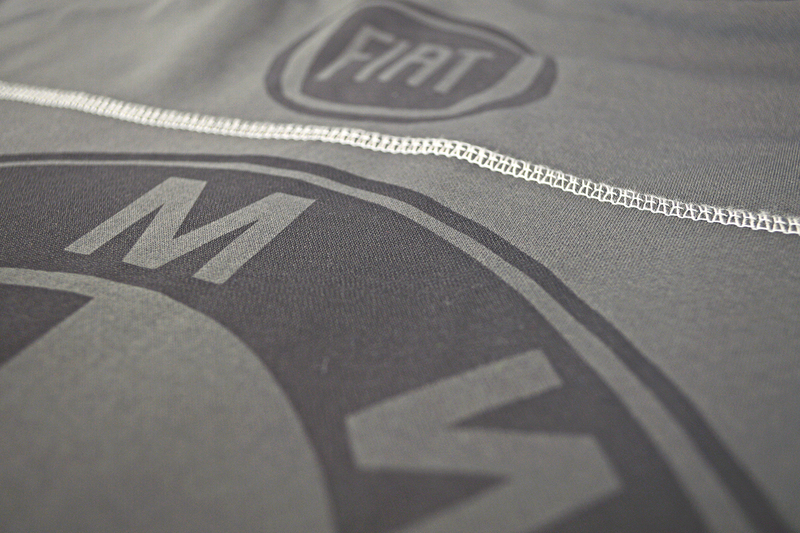 Since then, we've embroidered countless pieces of apparel. Despite newer decorating techniques, this classic decorating method continues to be the most popular decoration choice. 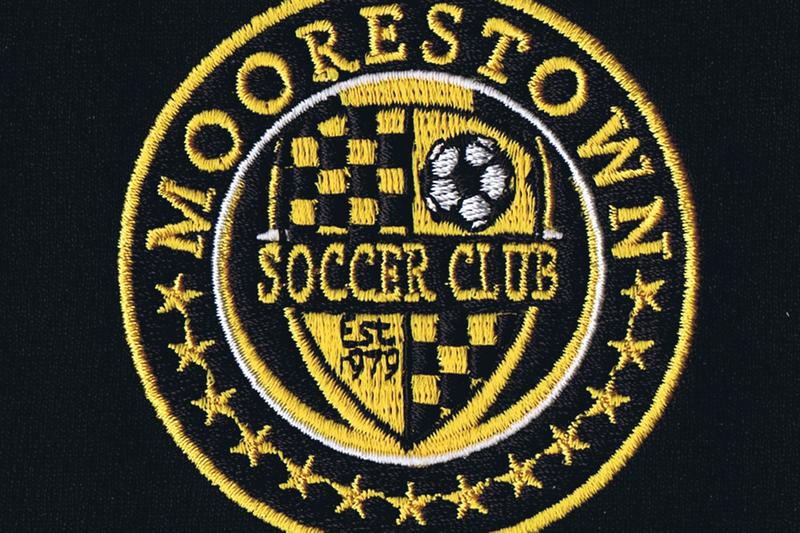 Embroidery looks great on all types of garments and creates a final product that looks high-end. 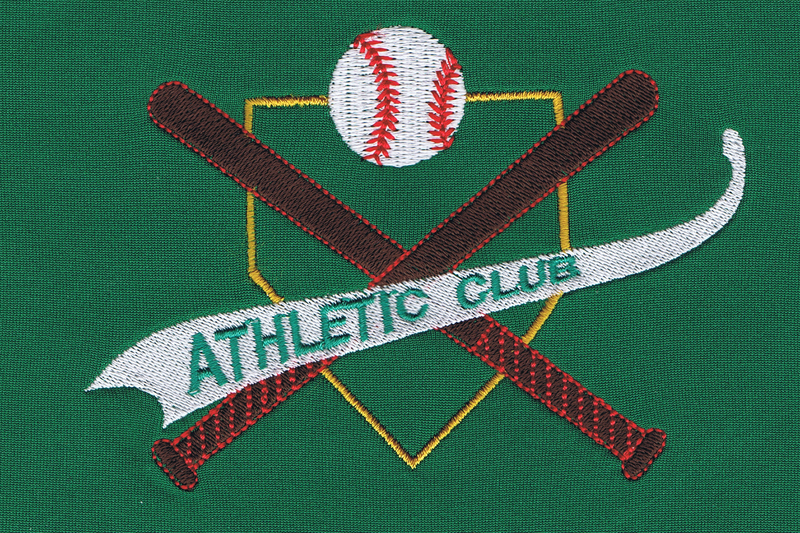 Choose embroidery if you want decoration with a classic look and feel and colors that pop, we have thread colors to match virtually any logo. 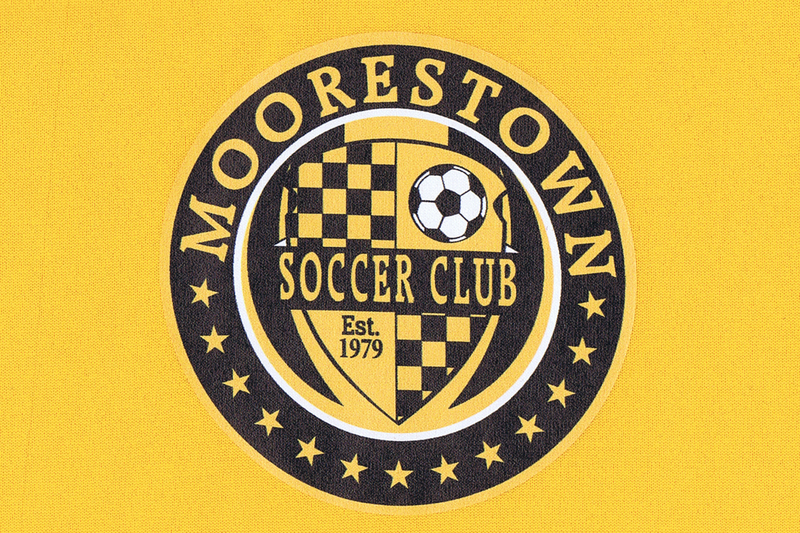 The heat transfer method presses and applies pre-printed art onto the garment. 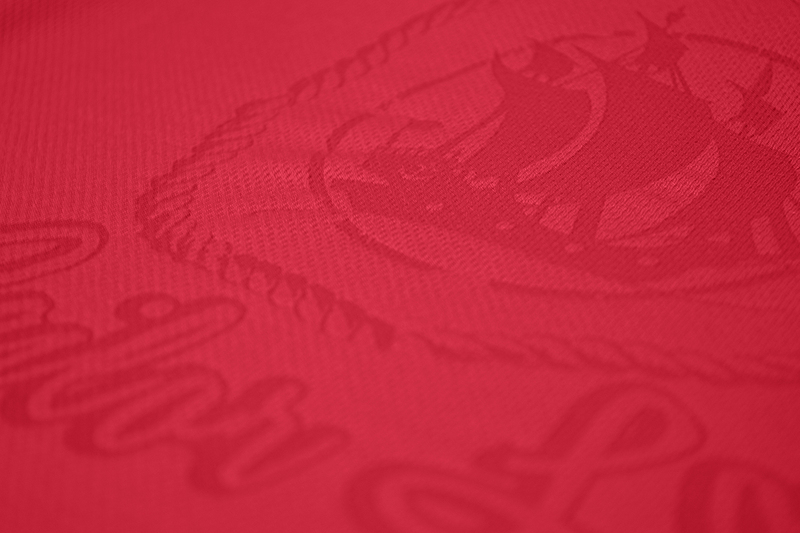 The transferred material is digitally printed using the artwork you provide. This process has been improved and refined over the years and is now a great decoration option for several reasons. 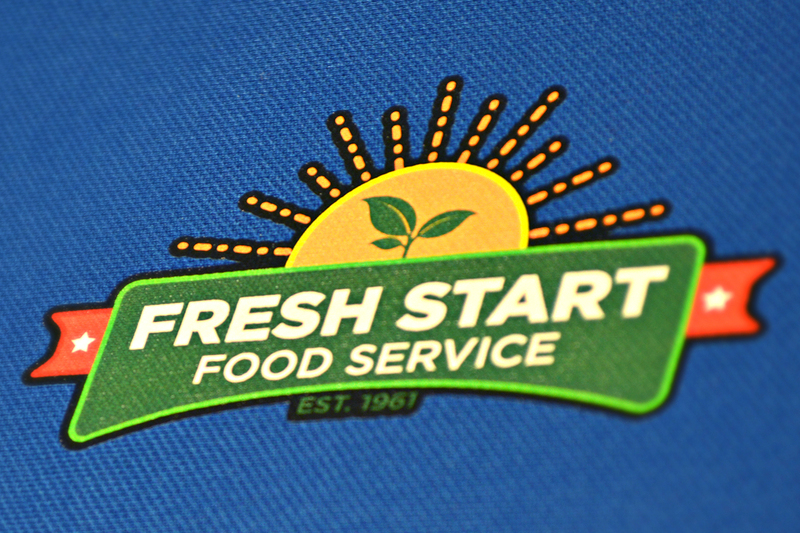 Heat transfers offer creative versatility. Since art is digitally printed, color ranges are limitless. 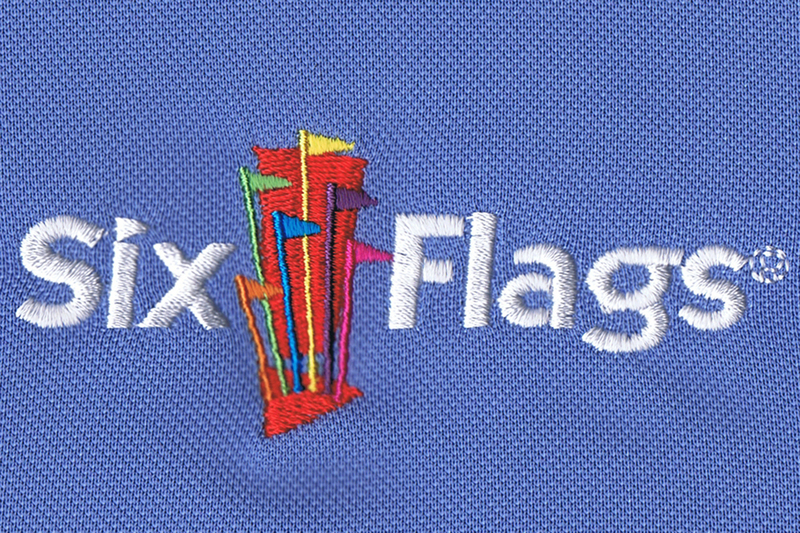 Heat transfers are perfect for art with vivid colors and details that may get lost with embroidery. However, this method is also a great option with simple designs and single colors. 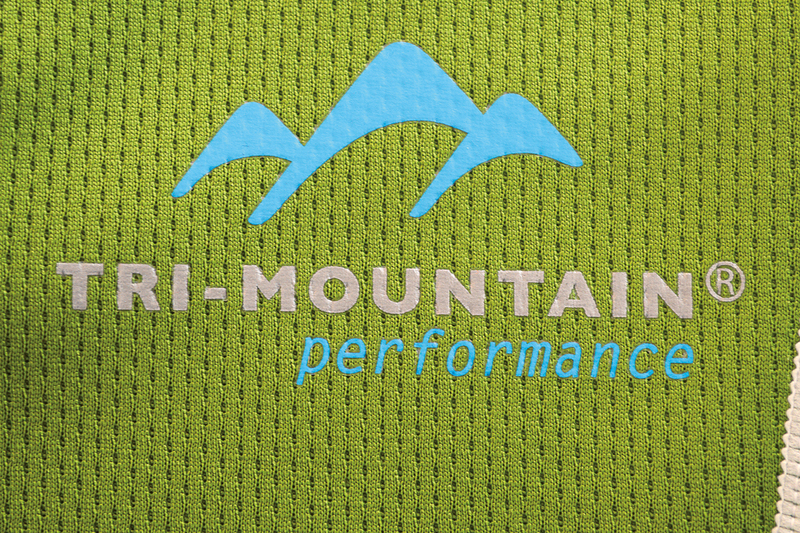 With heat transfer, there's no backing on your apparel, which improves comfort. 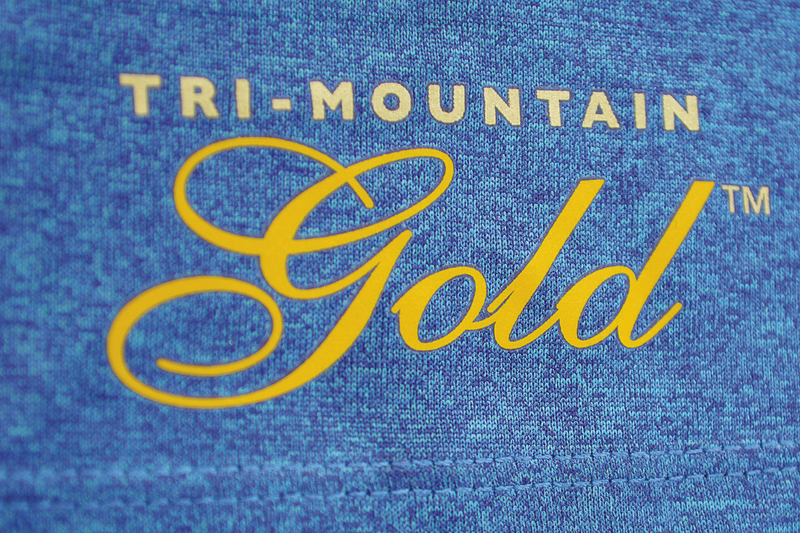 This method is great for applying artwork to Tri-Mountain Performance apparel, reflective tape on safety wear and glitter flake on Lilac Bloom. Also, heat transfer is a good choice for material that may pucker. 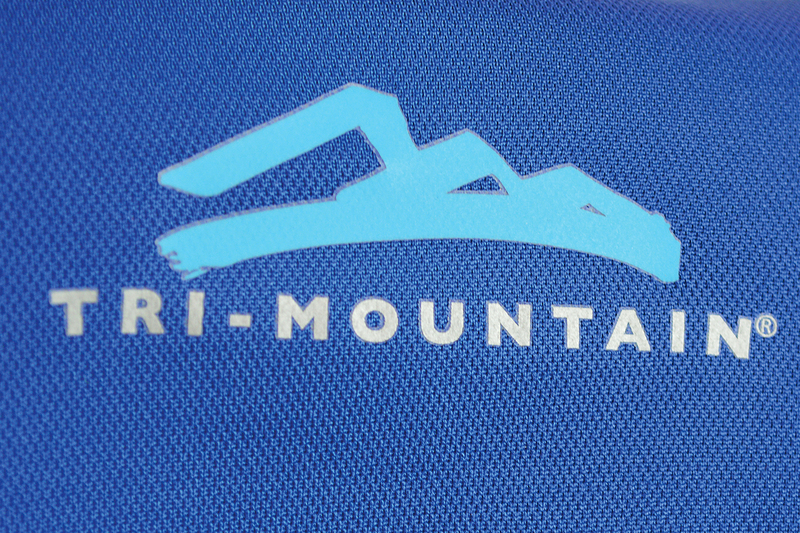 Tri-Mountain’s new Borderless Heat Transfers provide all the benefits and features of the standard heat transfer, digitally printed in full color, but with a clean, borderless edge. 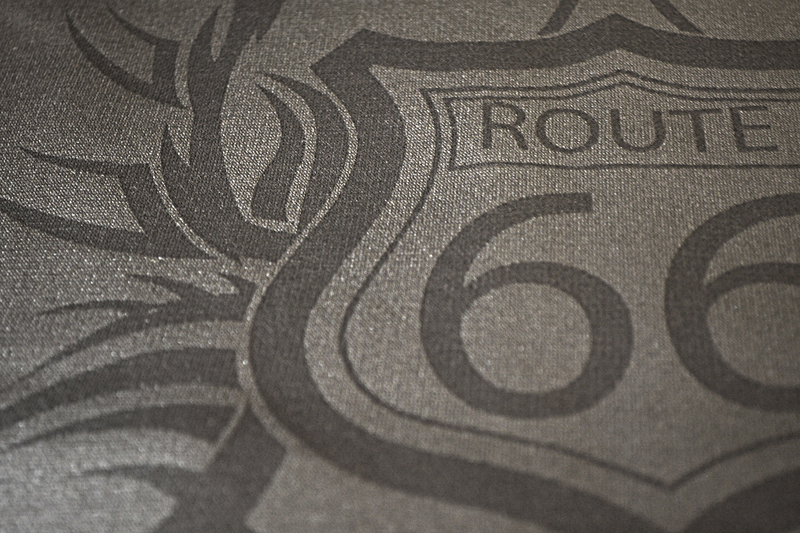 Using laser technology, the top layer of a garment is burned slightly, creating a precise, tonal design, which makes this process ideal for one color artwork. This decoration method gives you more options when selecting your logo size and location. It works great in typical locations as well as areas that are difficult such as seams and plackets. 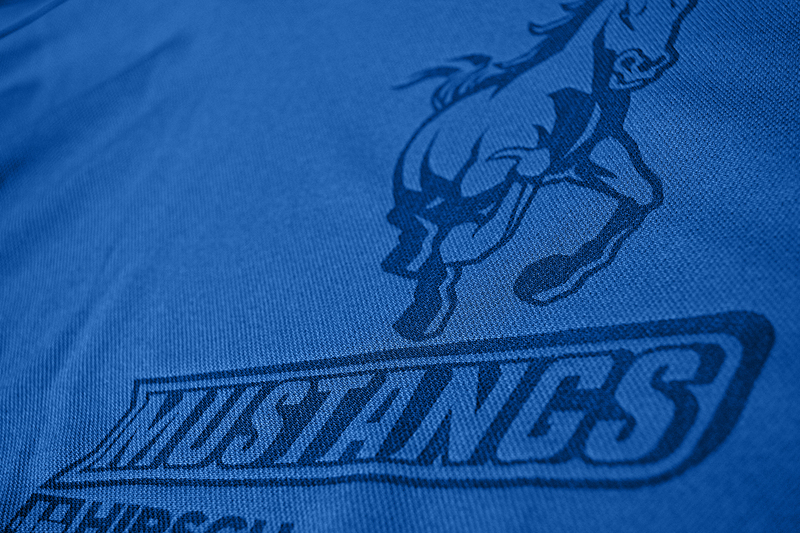 To review examples of laser etching on various colors and fabrics, see our Laser Etching Swatches page.